The home of Maztek, an Italian drum & bass pioneer who’s recently built his imprint to platform his brand new sonic artillery, Holland is a melting pot for drum & bass. It’s proven this time after time; a prime example being Binary, a production duo who came together last year to deliver a their joint venture. Known individually as MissionControl and Kappie, the merging of their expert capabilities and raucous dancefloor prowess is why Maztek has welcomed them into the fold of his record label 0101 Music. Having already released their aurally immersive EP ‘Mirror Image’ on Optiv’s Red Light Records, as well as adding themselves to the back catalogues of Sample Genie, Raving Panda Records, ION Music and Rustout Records, they’ve already earned their stripes. Both ‘Legion’ and ‘Colony’ shows that Maztek’s eye for A&R doesn’t just extend over his own work. It’s also a demonstration of the ethos behind 0101 Records, which is to move only the most cutting edge producers from dance music’s underbelly into their roster. Binary go in hard and without restraint, flexing a high-production standard as well as a construction line of heavy hitting beats, the type to ruminate in your mind following their breakdowns in any heavy hitting DJ set. 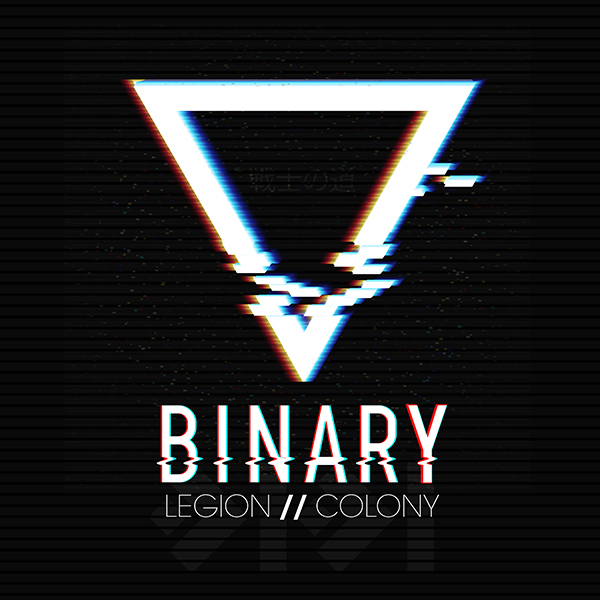 First up, ‘Legion’ presents an A-side which is darkly reminiscent of Binary’s joint back catalogue, whilst its colossal combining of forces cuts through the mix with a precision which isn’t unheard of within 0101 Record’s slowly growing discography. Its raw drums and grating LFOs pour across its composition as it drags you into the eye of the storm. On the reverse, you’re moved through ‘Colony’, an army assault featuring crashing drum sequences and a snapping undercurrent which becomes more overbearing as it rolls through the motions. It’s relentless, as it throws punch after punch of crunching bass pads which sifts underneath the mix. It’s a single which sits ominously within the trenches of 0101 Music, highlighting how Maztek is still a king within the darker world of drum & bass and how he’s building his own platform to help hold this world up from its foundations.